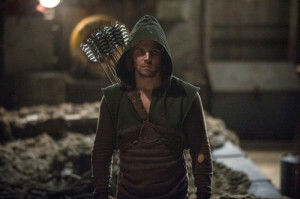 First Two Directors For Arrow Season 3 Revealed? GreenArrowTV has gotten a hold of information that may confirm the directors for the first two episodes of Arrow Season 3. Our apologies in advance if this changes, but at the current moment it looks like the season premiere is directed by Glen Winter (“Dead To Rights,” “The Promise”) and Episode #3.2 is to be directed by Wendey Stanzler (“League of Assassins,” “Heir to the Demon”). We will let you know if this information turns out to not be accurate. Hopefully we’ll know some episode titles soon!